I have always been fascinated with exploration and discovery. Unfortunately, most of the explorations in history were initiated by a search for fuel, riches or exploitation of one sort or another. This painting speculates about a journey to giving. 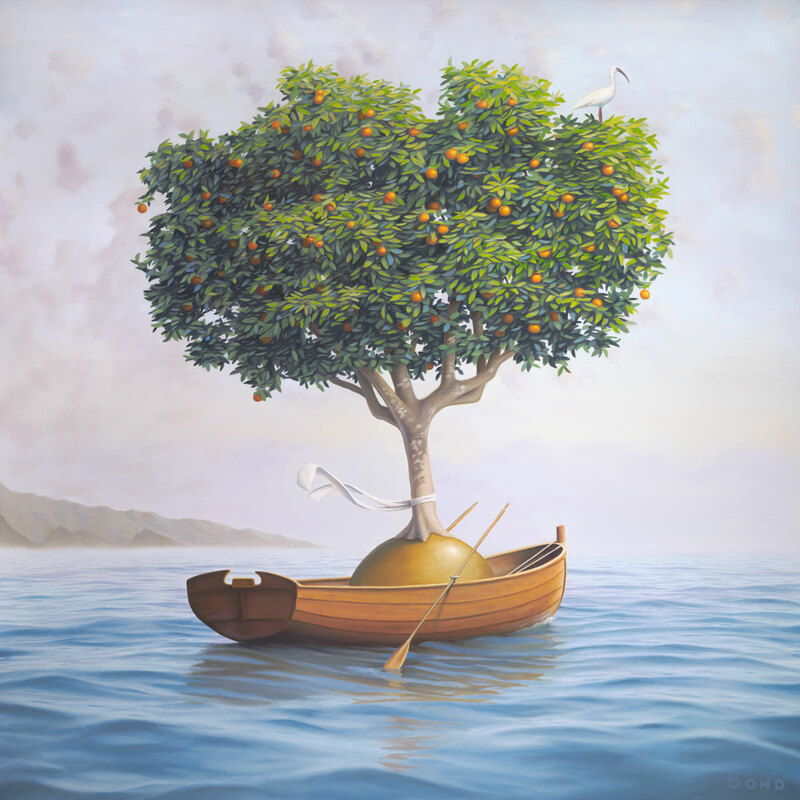 The orange tree represents the gift of food. A native tree of Spain, it also symbolizes the early European explorers, as does the rowboat. Perhaps a day will come when we venture to the stars for no other reason than to learn, and to benevolently share our wisdom. And the story of how we narrowly yet successfully avoided self destruction.